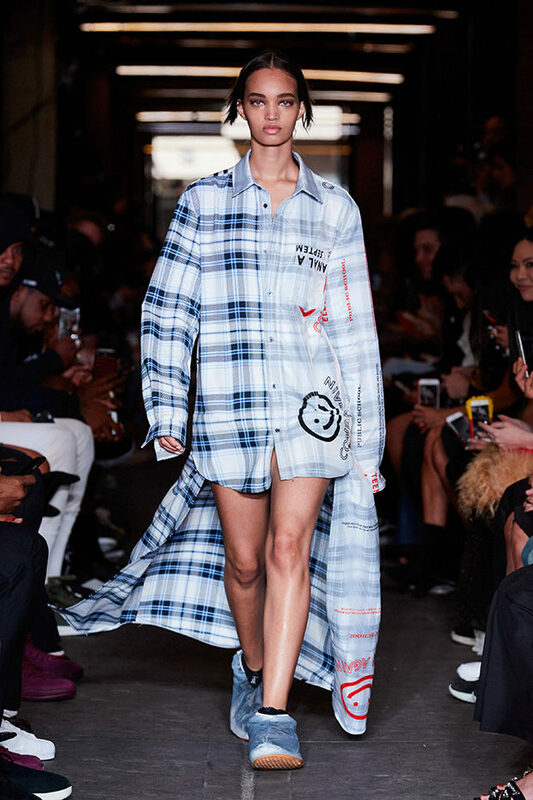 Here’s a recap of Public School’s SS18 runway show in Chinatown this past Sunday along with a tour of their Air Jordan XV x PSNY pop-up. 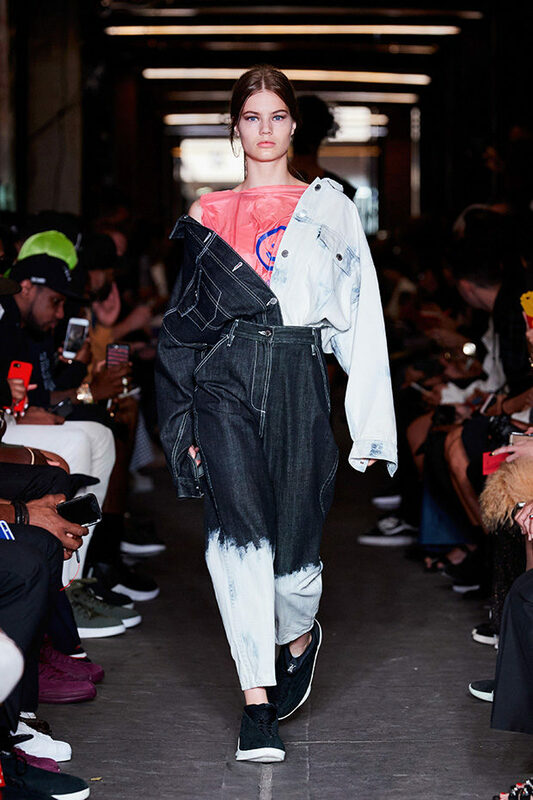 Really dope concept and so fun to see a runway show in the middle of Chinatown! Also see what I picked up early from the collection! Props to my friends at PUBLIC SCHOOL , Dao-Yi Chow and Maxwell Osborn! The Air Jordan XV x PSNY collection features a full range of apparel including their new AJXV for men, in black suede and olive woven. There’s also a pair of black woven which I’m hearing may be a pop-up exclusive (don’t quote me on this)? 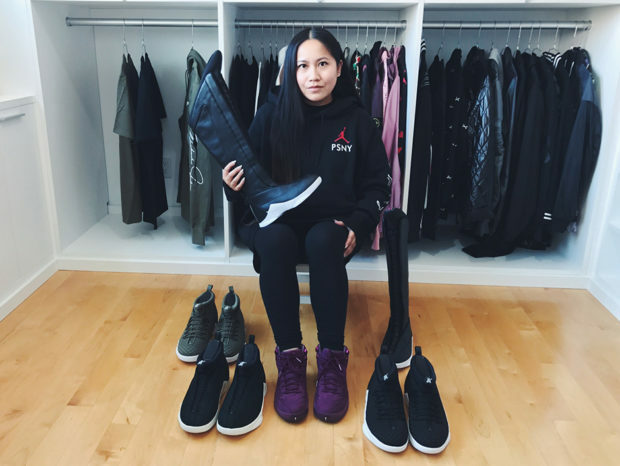 And for the first time the brand has created a sneaker exclusively for women, the PSNY x AJXV Boot. It is knee height with a tumbled leather upper, PSNY logo details on heel and tongue and “We Need Leaders” sock liner graphic. Really clean! 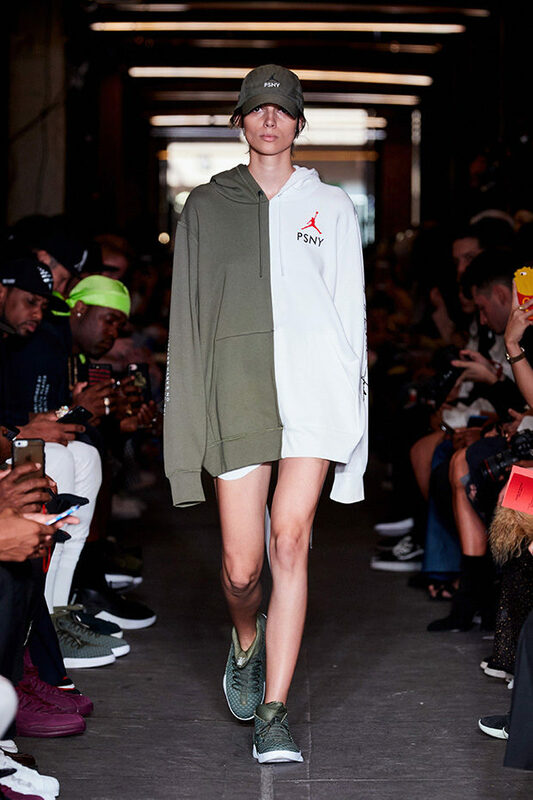 The full apparel collection and the women’s and men’s PSNY x AJVX sneakers and boot were released exclusively at a pop-up shop directly outside of the brand’s Spring/Summer 2018 runway show. 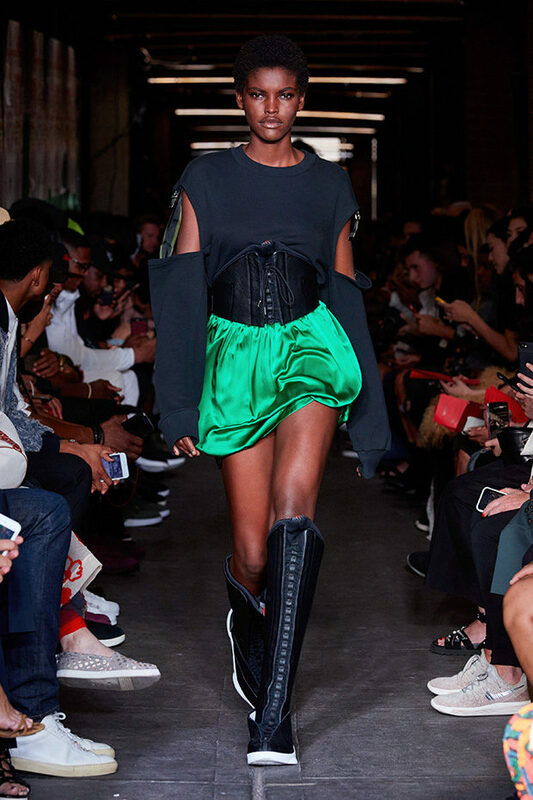 Shop the collection beginning Monday, September 11th on PublicSchoolNYC.com. Select items from the collection will also be available on Monday, September 11, 2017 at Bergdorf Goodman, KITH, RSVP in Chicago and SoleFly in LA. See below for a full list of retail doors in the US and Canada.